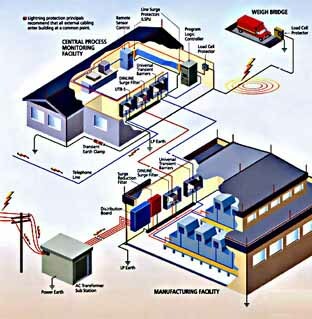 Industrial environment need to protect against damaging transient and surges which can disrupt or destroy process controllers resulting in system failure. This representative diagrams shows how the ERICO Six Point Protection Plan can be applied to a typical industrial environment. The Customer Reference which had install the system with Lighting Protection.